Last week I fitted a new set of tubes (harmas) in my Rocker terror 15 and decided that last night was time to give it a go at a Christmas party gig... Unmiked in a small/medium sized pub..... but still with a second guitarist using a jvm and a full drum kit. Initially before setting up, I was a little unsure it if was going to be loud enough but through my 212 vertical cab it was absolutely ideal, sounded excellent... Yes it was on full power mode with both volumes just after 12 o'clock, so very nearly full volume I think, but genuinely surprised how good it was. Using a telecaster all night it sounded great, excellent picking dynamics and very responsive to using the guitar volume and still easy to get a lead boost using the excellent full-time OCD. Very impressed. too smaller gig for such a powerful 50 watt amp. Having the best tone of the night is a lovely smug feeling..... though it's better when the whole band sounds great!!!! Could you balance the clean and dirty channel volume wise? Yep balancing clean and dirty was easy... There is not the disparity in volume between natural channel and dirty channel like there is on the rocker 30. Sounds like it really makes it a dream gigging amp then!!! It really looks like that head packs a very serious punch - clean channel, dirty channel and fx loop. At the volume you were at, I assume the clean channel stayed clean too? Yep, with the tele it was nearly totally clean with slight breakup compression when you dig in... As I say very responsive to picking dynamics. 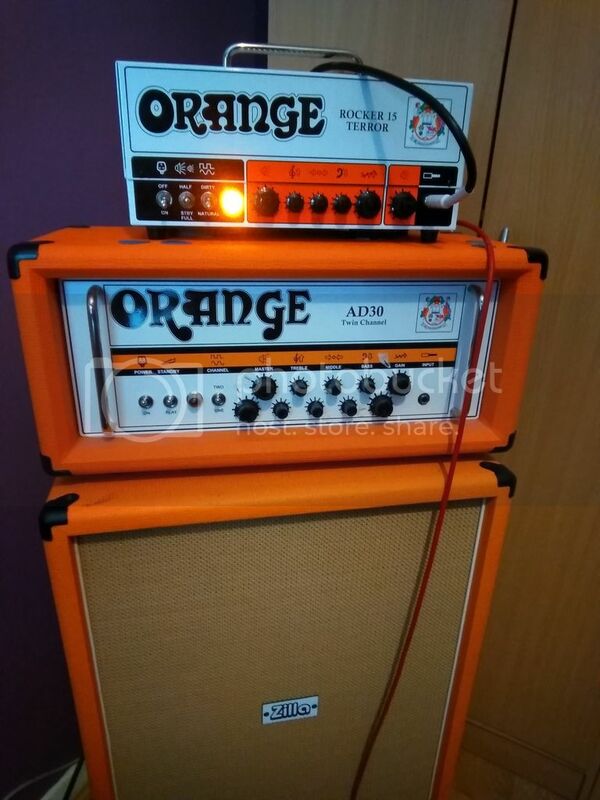 As you can tell I've been very plesently surprised with the amp ...Orange amps have IMHO come a long in the last few years not just compared to the original TT but also compared to the Rocker 30. You have just described how my ear hears every JVM. I used to have the JVM410. Not many fond memories. Terror and a PPC112 cab. I'm think that the clean channel on the Rocker 15 would do it much better.